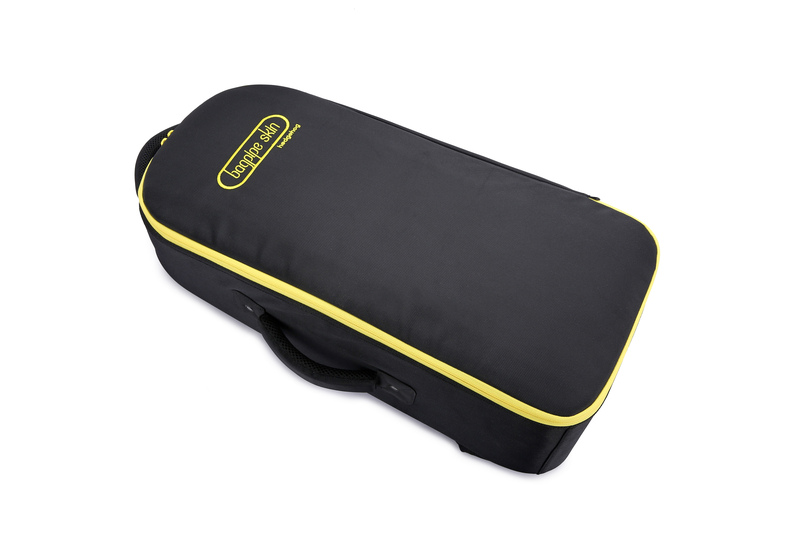 PROTECTION : Built with hard board structure, excellent for storage and protection with 10mm of padded wall cover fully inside by the high density & supportive foam. OUTLOOK : Durable outer materials. 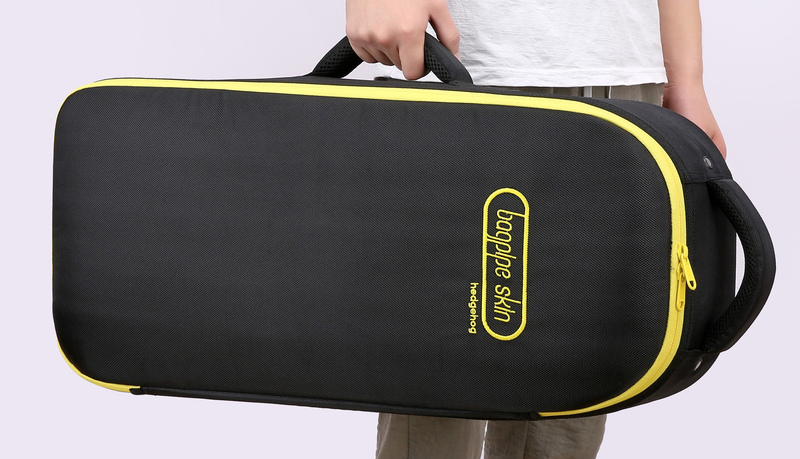 Strong fabric, mostly used in suitcases make the case more durable. 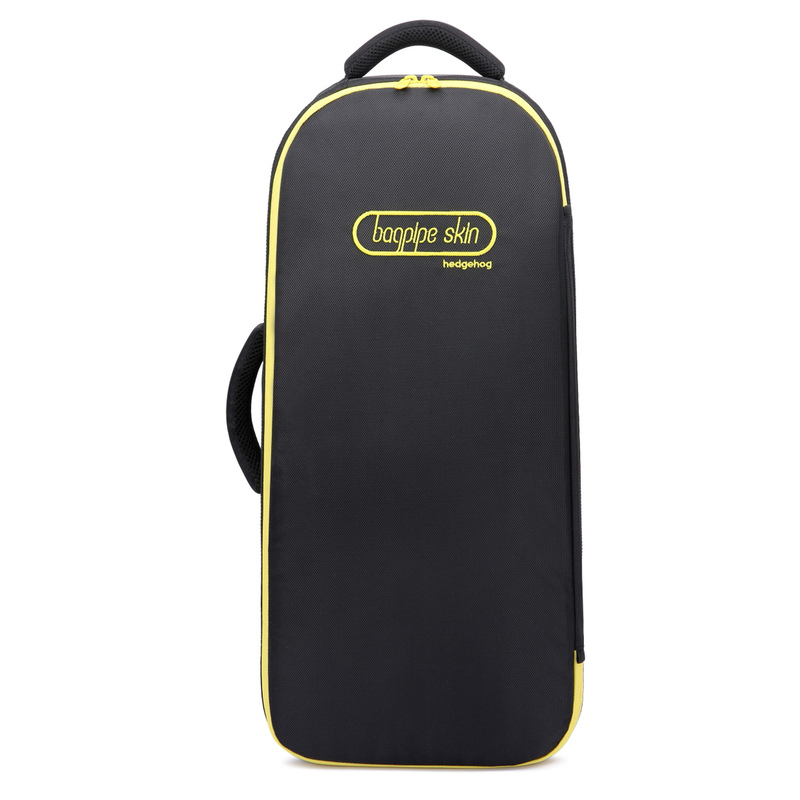 HANDLE : The case have 2 handles for easy carry by different ways. INSIDE : Bag pocket at the front panel. 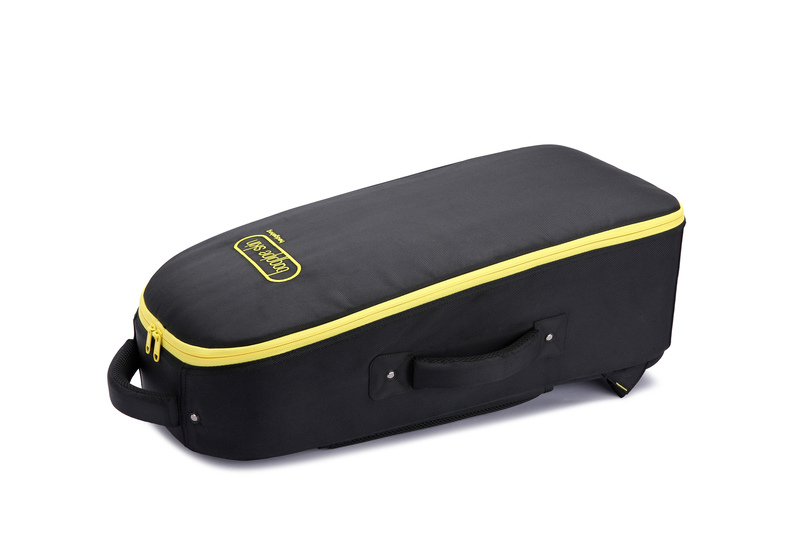 Easily access pockets on both sides fit for spare reeds, hemp, tuner and accessories etc. The drone velcro strap fix the pipes during transport. 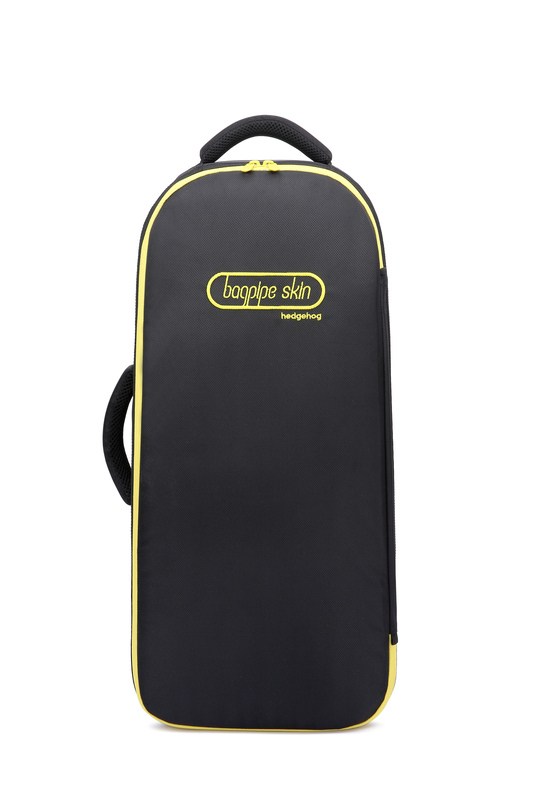 Soft fabric used for inside avoid scratches to the bagpipe and other accessories. CARRY : 2-way handles- one at the top, the other at the side. 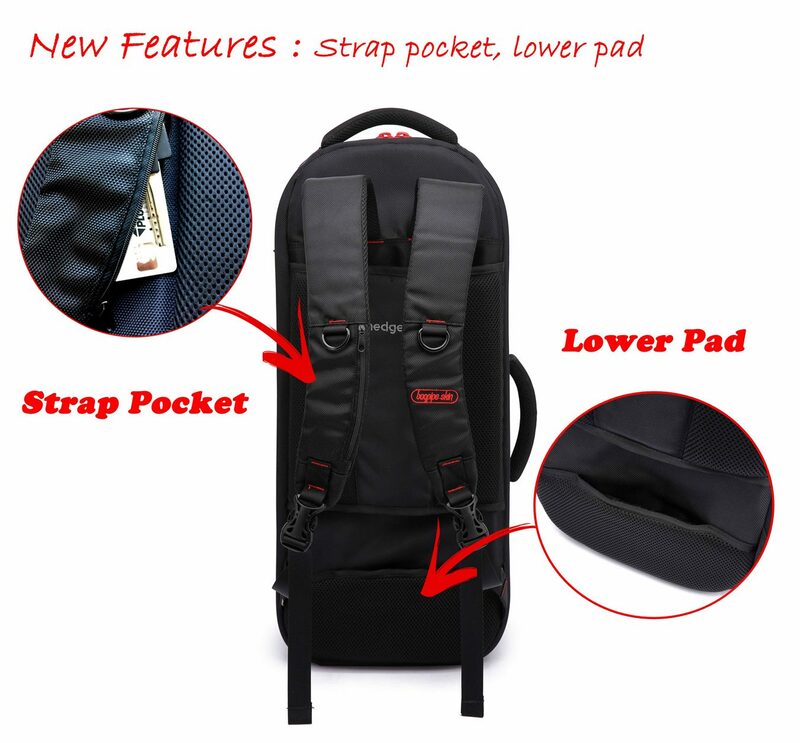 The length of backpack strap can be adjusted & hidden. NEW FEATURES : Small pocket on the strap. You can store you key, cards etc inside the strap pocket. Extra padding in lower area to carry more comfortable. Brush-holder : Hook and holder for your drone brush. You can place you drone brush and take off quickly and tidy. 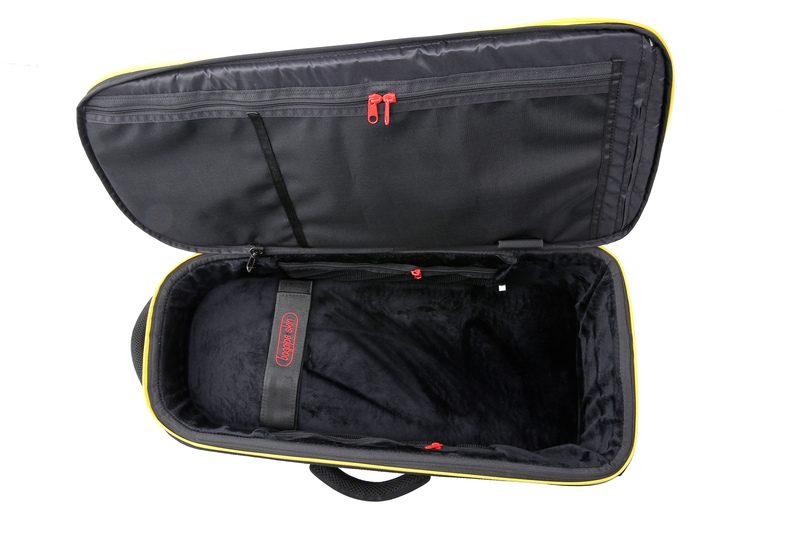 OTHER : Free separate pocket, chanter tube and rain cover inside the case. Outer dimensions in Inch 123*456*789, in CM 123*456*789. Please read the details for warranty in Product descriptions area. 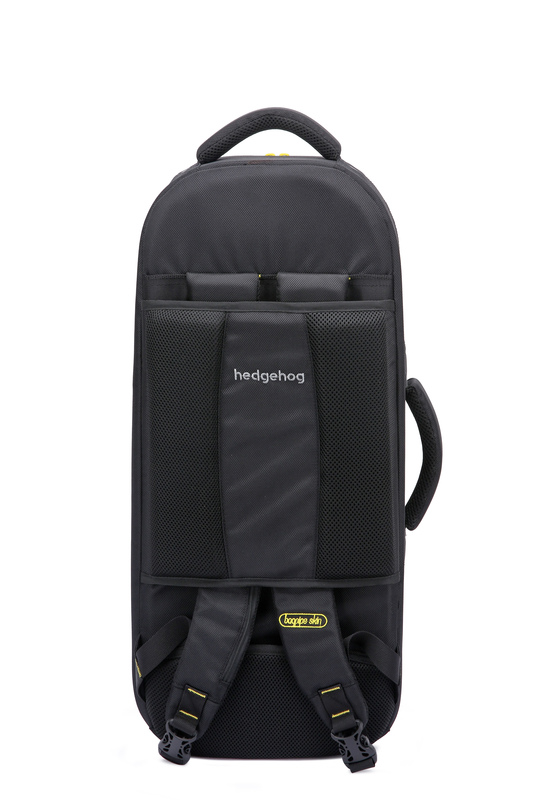 “Hedgehog” – Gray ,with extra pad at the lower area make the backpack more comfortable. 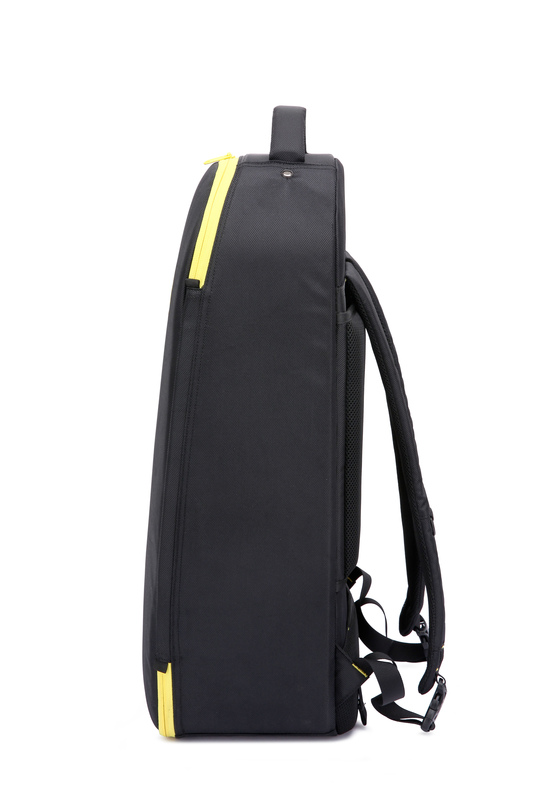 Besides, there is a small pocket on the strap so that pipers can easily access to the stuffs like credit card, keys, etc. It is just around chest and user friendly. 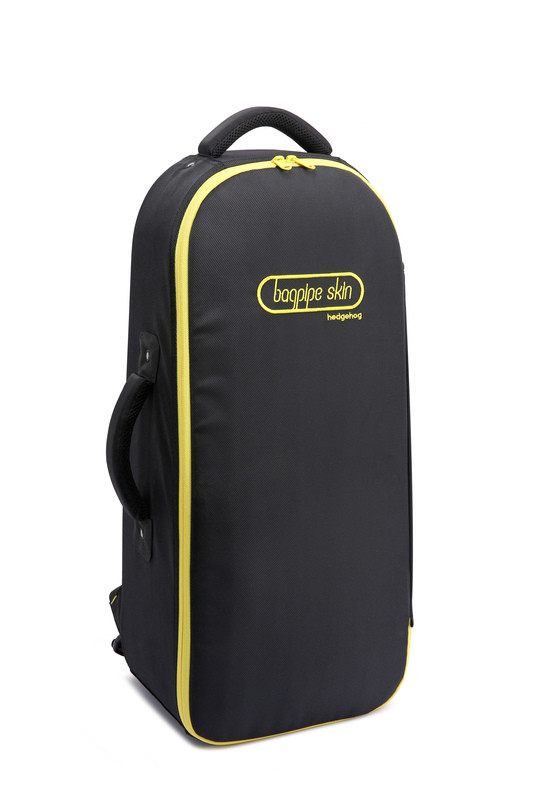 We make sure 360 degree to protect the bagpipe by providing the hard tube for the chanter inside the case. One more useful feature is the brush holder. Pipers may use the brush to clean the drone. Hedgehog buckled with the holder to help organise the brush inside the case. The case is fit for variety of the bagpipes including McCallum Bagpipes, Wallace Bagpipe etc. “Both leather or Ross bag can be fit in the case”. We provide the 3 years warranty to promise our quality. 25* 8 1/2* 11 inch, (64*22*28cm). 4lb, (1.9kg) without small bag.